QurdioCore is the first wearable electrocardiogram monitor. The $449 device records more than 20 million data points, streaming the user’s live medical data to their smartphones. It is the first monitor to be IP65 certified making it splash and rain resistant. 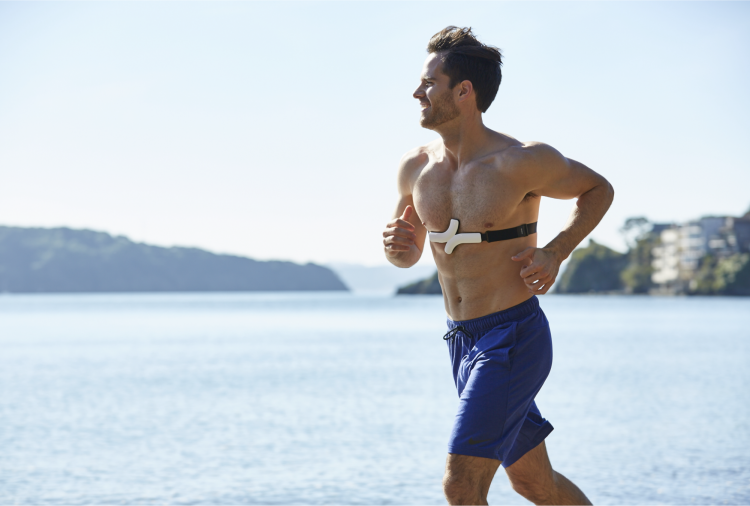 QardioCore is worn as a chest strap and records continuous ECG, heart rate, heart rate variability, respiratory rate, temperature and activity data. The information is sent to a smartphone or tablet and can also pair with other products. The information can also be shared with your doctor. Cardiovascular health is the biggest health challenge in the developed world and with QardioCore, we make it easier, better and more cost-effective for everyone. The ability to view and analyze such important data remotely and in context, as it is being generated, can substantially enhance the diagnostic yield. QardioCore is a game-changer for doctors, patients and health conscious individuals, and a big step towards preventative health,” said Rosario Iannella, CTO at Qardio. “For elite athletes, cardiovascular health is the cornerstone of performance, and QardioCore puts a wealth of actionable biometrics including medical-grade beat-by-beat heart tracking into an athlete’s hands, empowering them to be their best.